Hi welcome to Careers in the Algarve Portugal and tips for working abroad..
p>Click to go back to east-west-algarve homepage. 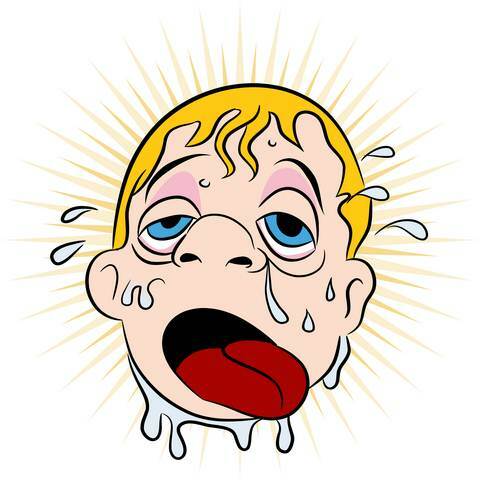 Are you thinking of working abroad?Scroll down to see our cartoon character "moaning about working in the heat". With the deliberate mess our so called government is making of employment opportunities in Great Britain,who could blame you! What sort of employment is available in Portugal and the Algarve?Is it even sensible to consider making such a drastic change to your life? Well let me help you out here with your thoughts.Portugal has dual tax alignment with Great Britain so if you move between the two countries you only pay your tax in one country,you will never have to pay tax twice.That is the agreement between the two countries.You can try out working in Portugal and the Algarve before cutting your ties in Britain.You will have to contact both tax authorities and make your position clear. Income tax in Portugal needs its own page which will be done later and linked to this one. For the moment,one step at a time.What sort of jobs are avalable is the remit for this page. At the present time (october 2011)there are just short of 600,000 registered unemployed. this may sound quite good but bear in mind there are only 10 million population in Portugal and around half that population is living in poverty as we understand the situation! What are your chances of getting employment? The jobs market relies very heavily on the tourist trade and somewhere near half the employment is in the service sector. For Univesity Graduates,their kind of Careers will tend to be in the big cities and you will almost certainly need to speak some Portuguese.This need not worry you too much.Determination will make you start learning,"as from Now!If it is important to you you will not question it! You can achieve anything you want! Knowledge of other languages, such as English, Spanish, French or German,would give you a distinct advantage, particularly in tourist trade. Occupations which are in need of new blood,possibly:could be the Health sector particularly doctors,seasonal jobs in the tourist trade such as catering,hotels,information technology with computer engineers in big demand,call and contact management. The Major industries in Portugal:First and foremost tourism, property services,financial services, business services, hotel and catering, public (govenmental) services, agricultural sevices,Fishing industries,Forestry and of course the retail sector. British and Portuguese Chamber of Commerce,Portuguese Chamber of Commerce and Industry,Europages,Kompass villa rentals,Guianet Portuguese Business Portal,Portuguese yellow pages,Paginas Branca People Information a sort of white pages. Lisbon north,Porto further north,Coimbra north Portugal,Funchal Madeira,Almada On banks Tagus River close to Lisbon,Amadora sattelte city of Lisbon ,Broloraga North towards Porto,Vila Novo de Gaia close to Porto. "Shoot man"! Only 7am!I gotta do a full days graft yet! Making the move to work in another country is full of pitfalls.Careers in another nation can have so many differences from your native country. Working in the Algarve Portugal will almost certainly mean a big cut in salary.This is supposed to be reflected in the cost of living but be very wary here and do your homework. I go to Portugal 4 times every year and food and general housekeeping costs are almost as expensive as in the United Kingdom,many other things are even dearer.For example Portugal is the most expensive country in Europe for buying a car (at the time of writing). Now consider this.The minimum wage in Portugal is around 475 euros per month! This really is a pittance when you consider my statement above about costs in the Algarve and Portugal.To have any chance of survival you will have to find the cheapest places to shop. Bear this in mind,before you ever make a move to new Careers abroad.If you are unskilled in particular, it is very unlikely you will be able to save much if any money!If you have cut your ties to your native land,you could find yourself stranded with no money to make the return to your previous home.If you become unhappy in your new country you might find you are financially imprisoned there.This is a terrible and miserable position to be in!Make doubly certain you have considered everything before cutting any ties with your native country.In all cases you should do a work trial of at least a year in your considered new foreign employment before you cut ties at home.Leave room for escape until you are certain you are going to be happy in your new land! Even Old Age Pensioners make silly judgements about selling up and moving to a country with a different climate.Once you have sold up at home it can be almost impossible to return home.There are hundreds of thousands,if not millions of people trapped in misery in a foreign land because they acted in haste.You must do a trial period of living in an alien climate,before you cut off the route back to Careers in your native land.You need to know if that climate will suit you before going to work there permanently. REMEMBER:Earn Advertising Credits You can rent owners apartments all year round.Site contributors get preferential rates.